Mutual funds can be bought more cheaply and easily than individual stocks. 1. Can Fractional Shares Be Purchased in an ETF? 2. Why Would a Person Choose a Mutual Fund Over an Individual Stock? 3. Does the Bid-ask Spread Affect the Performance of ETFs? Mutual funds pool the money of many investors together to buy and sell stocks, bonds and other securities. Because an individual fund can invest across a broad range of companies and industries, they are popular with investors who don’t have the interest or time to research many companies individually. If you’re new to investing, or just too busy to do a lot of research, mutual funds may be a valuable addition to your portfolio. Buying a mutual fund is an easy way to instantly diversify your investment portfolio. Mutual funds can attempt to mirror the performance of a larger index, such as the S&P 500 or the Dow Jones Industrial Average. Others may buy stock in a variety of companies in a particular industry, like technology or retail. Mutual funds allow you to invest in dozens or even hundreds of companies with a single purchase. Bear in mind that if the mutual fund focuses on a particular industry, and that industry is performing poorly, the price of the mutual fund will likely fall. Mutual funds are run by a professional manager who makes all the investment decisions for the fund. You do not have to spend time researching each company individually. The fund handles all the buying and selling of securities and keeps track of all tax information. The manager generally is required to make investment choices within the scope of the stated objectives of the fund, which are outlined in the prospectus, so you don’t have to worry about choices being made that don’t fit in with your investment strategy. You will pay a fee, known as the expense ratio, which goes toward paying the manager’s salary and other expenses of the fund. Because mutual funds pool the funds of many investors and buy and sell stock at such large volumes, they are able to do so much more cheaply than individual investors can. Also, if you purchase a mutual fund that invests in ten companies, for example, you can do so with a single commission charge, rather than paying ten commissions. You can also purchase mutual funds in much smaller denominations than you can individual lots of stock. 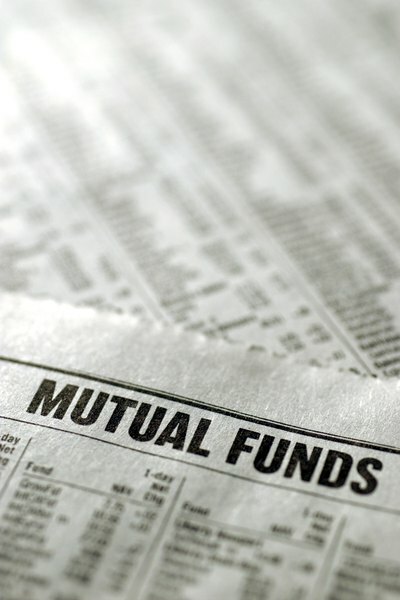 Mutual funds are among the most easily traded investments. In an open-end fund, you purchase shares directly from the fund company, who will then buy them back when you’re ready to sell. There is no need to find a buyer or wait for a period of time between when you want to sell and the trade is actually executed. Remember that unlike stocks, which are traded constantly throughout the day, mutual funds are only sold once a day, after the market closes and the fund’s net asset value is calculated.